Ever since digital marketing walked on the scene, advertisers have concentrated more on this new form of marketing because they assume it’s all readers are consuming. But print advertising hasn’t lost it’s importance despite advertisers lack of attention to it. Although digital marketing has its place in the marketing world, paper seems to take the emotional win in advertising according to neuroscience. This blog will pick the brain of consumers as they interact with print advertising to determine just how effective it is. When we read, we see images first, then context and after that the information we’ve gathered either gets stored in our long or short-term memory. Cognitive neuroscience tells us that reading isn’t a sense that humans possess, it’s something we teach ourselves. We have been conditioned to read words from paper and scientists warn of a cognitive overload that takes place when reading excessively on screens. Reading on paper is more natural and offers less of a strain on the brain. The use of emotional appeal is nothing new to print advertising. Whether it’s employing dramatic copy, or an image that strikes a response in the reader. 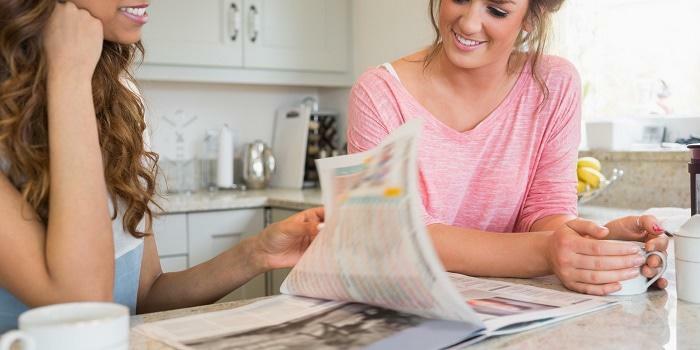 This works the same with other advertising initiatives, but with print advertising in particular, what makes it special is the fact that readers love to feel paper because it triggers neural responses. Reading on print is a slower process and a deeper connection is formed, meaning you are more likely to remember what you’re reading. Because paper is multisensory, people are more likely to pay attention, grasp what they’re reading and recall it. Findings indicate that reading print is more intimate than reading off a screen. Don’t advertise your home improvement business with just anyone, choose a publication with a reputable and reliable track record – choose us! We have over 35 years of experience in the advertising industry.